We’re almost two years away from the 2016 presidential election, but speculation, rumors and announcements are already in full swing. Many potential candidates are focusing on issues that took a backseat during the financial crisis, including education. Gov. 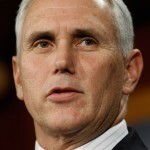 Mike Pence, R-Indiana, is often mentioned as a potential Republican candidate for the 2016 presidential election, and over the past year he has made a slew of education decisions many people say are proof he wants to be relevant on the national stage. Pence avoids directly answering the question of whether he’ll run, but if education is going to be a cornerstone of a political campaign, there’s a lot to look at in Indiana. For starters, earlier this month Pence explained his legislative plan for the upcoming session, saying he wants it to be a session focused on education policy. But before the governor gives any more specifics on his plan, let’s examine his education policy decisions up until now, and what the could mean for a potential campaign. Removing Indiana from the Common Core was one of Pence’s biggest education moves over the past year. 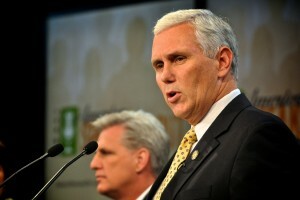 The standards are not well liked by conservatives, who view them as a tool for too much federal oversight in local school districts, so earlier this year Pence signed legislation making Indiana the first state to make an exit. “I think there’s enormous and justified concern that over time the Common Core became something that felt less like a state run program and more like something that became part of a federal agenda, being promoted by the Obama administration,” says Rick Hess, director of Education Policy Studies at the conservative non-profit American Enterprise Institute. Although pulling out of the Common Core was a dramatic move with lasting consequences in Indiana, Hess says it would likely only serve as small bullet point on Pence’s resume during a 2016 campaign. In other words, pulling out of the Common Core probably won’t be enough to set Pence apart from the other Republican candidates. Another decision Pence made as governor that received national attention was refusing to allow the Indiana Department of Education to apply for a federal grant that would have helped fund pre-k. The grant could have given $80 million to preschool programs for low-income kids. Pence said instead the state would look at expanding its own new program, On My Way Pre-K.
Michael Wolf, who researches elections at the non-partisan Mike Downs Center on Politics in Indiana, says this decision was a no-brainer for a Republican looking to 2016. “This might have been seen as accepting federal money in a pretty state sovereign area of public policy,” he says. Wolf says Pence had a solid voting record against federal spending at the state level when he served in Congress and applying for this grant would look inconsistent if his political decisions are put under a microscope. Of the other education decisions Pence has made so far as governor, including creating and then dissolving the Center for Education and Career Innovation and being constantly at odds with state superintendent Glenda Ritz. Although these dominated headlines and played an important role in education policy, Hess says if Pence runs for president it won’t reach the masses. Wolf says if Pence runs for president, he’ll address these choices in terms of consolidating government agencies to save the state money, despite creating CECI himself. And despite the competition or the success of his state policies, Wolf says the biggest challenge Pence will face, if he launches a presidential campaign, is actually the lack of changes he was able to make to education.